Getting ready to run on a hot day in Concord. 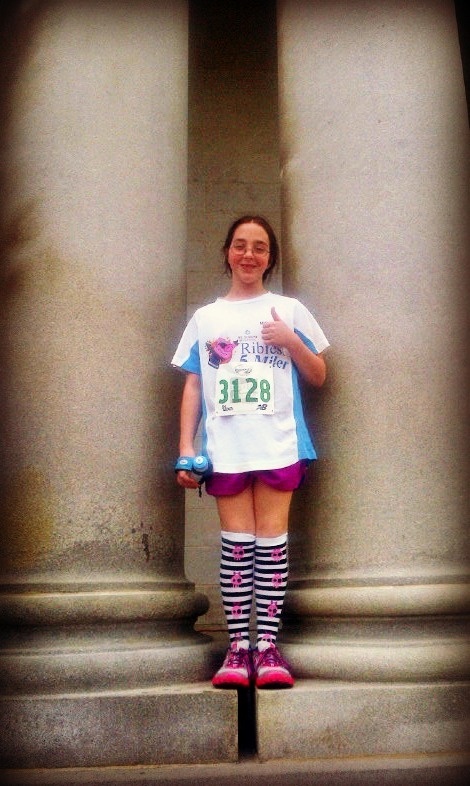 One of Janelle’s running goals this season is to finish a 5k in under 30 minutes. Her best time last year was just under 35:00 so shaving 5 minutes off that time is an ambitious project. That may look daunting, but there’s some trending positives which lead me to believe she’s on the right path for a pre-30 min. race by the end of the season. 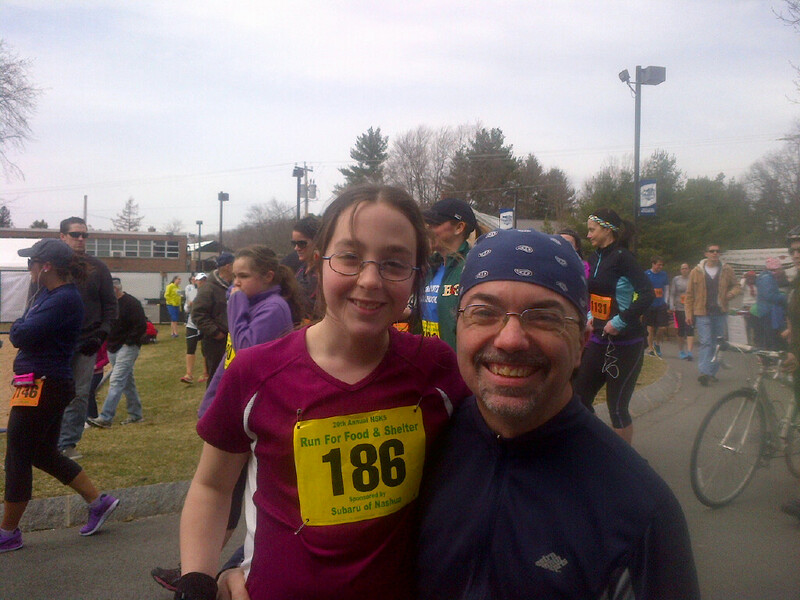 First, at the Nashua race she ran a sub-10 minute first mile. That was way too fast of a start and it dragged her down the rest of the race. So, for the Girls Inc. run, we worked on pacing and focusing on maintaining a reasonable rhythm. And as you can see, the results were good. So, what happened in yesterday’s race? Well, it was hot and it’s a hilly course. But digging into the numbers shows some positive trends. 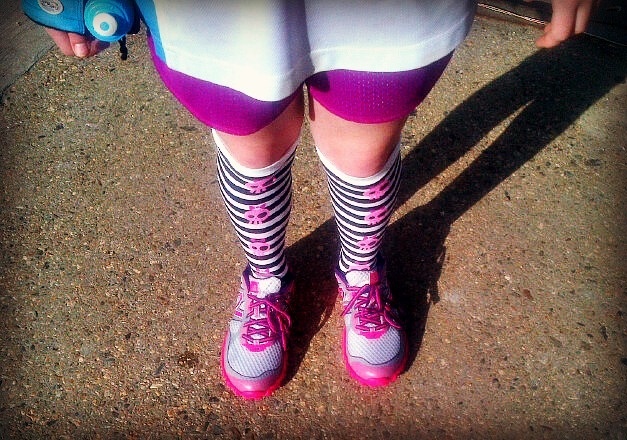 First, she ran the first two full miles without resting, nearly 23 minutes. Her pace for those first two miles was a steady 11:30. So, it’s clear that if she was able to maintain that pace for the final mile she could have finished in around 35-35:30. It seems as though the issue right now is endurance. Her head was certainly in the race yesterday and we didn’t have cramping issues until the very end. One interesting stat from yesterday’s race was how well she did within her own age group. For 11 and unders she finish 37 out of 121! So, our next race appears to be the Girls on the Run race on June 9. Our plan is to work on some cardio sprints to get her lung capacity up there. I think we’ll also play around with her running form a bit as she tends to drag her feet when she gets tired. All in all a great day. While we’d both rather be hiking, it’s been fun being partners on the running course. Oh and by the way Aunt Stephanie, she loves the shoes! Buffalo and Tough Cookie are here! Ms. Vachon, Janelle’s 4th-grade teacher. It’s all about the style! Showing off at the State House. 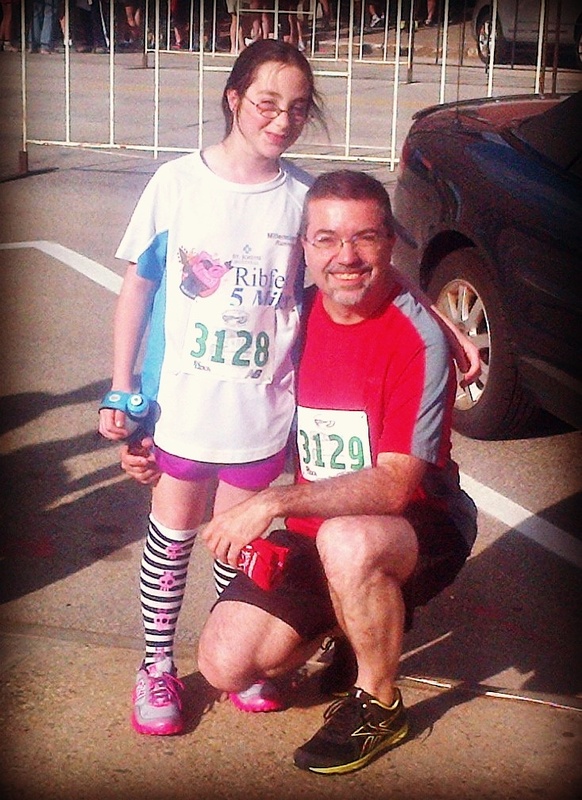 Running for Girls Inc, one of our favorite organizations! First, yes, that is what you think it is. We have t-shirts! But, they are only prototypes for the time being. We’re still tweaking the design. We’re thinking of doing the logo a little bigger and eliminating the white background. Stay tuned for more swag updates! 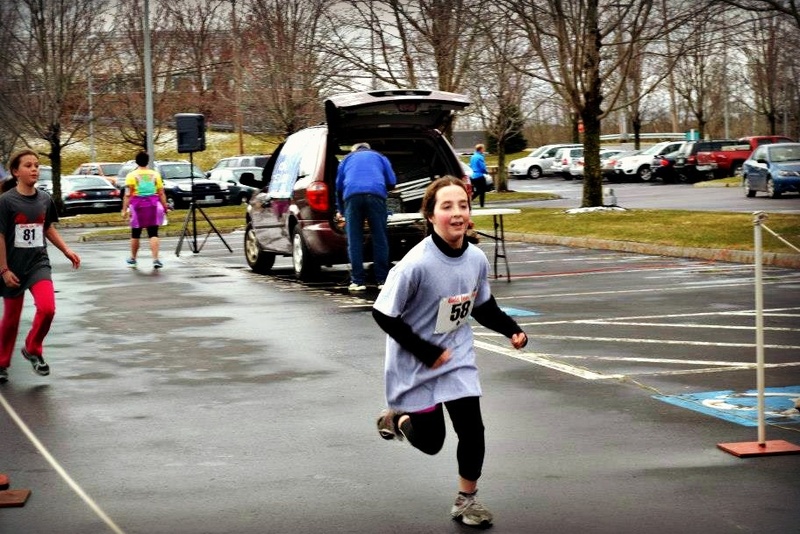 On Saturday, Buffalo and Tough Cookie were back in Concord to join about a hundred other, mostly enthusiastic girls, for the annual Girls Inc. 5k spring race. As you might recall, Girls Inc. took a liking to Janelle at our event in March and made her an honorary Girls Inc girl. Well, we had two goals for Saturday’s race, to beat our 5k time from the previous week and to meet up with all the new friends we made at Girls Inc.
And we did both! Janelle finished at 36:00, more than 90 seconds faster than our last race. That has led us to create two new goals for this year’s running. We are going to train Janelle up to run a 10k. And we’re going to finish a 5k in under 30 minutes. We can do it! Meantime, we’re looking forward to spring and hope to find some time to hike in between all the book events that it looks like we’ll be having. We’re not quite ready to announce a book drop date and much tour info yet, but soon. Very soon! Hope you are all as excited about spring and warm weather as we are. 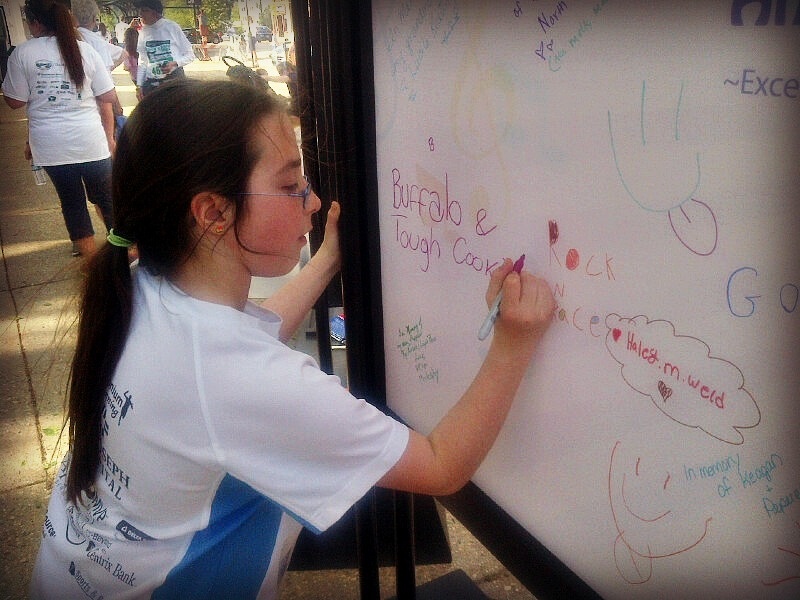 Buffalo and Tough Cookie keep on rolling, and we can’t wait to see what’s around the corner! 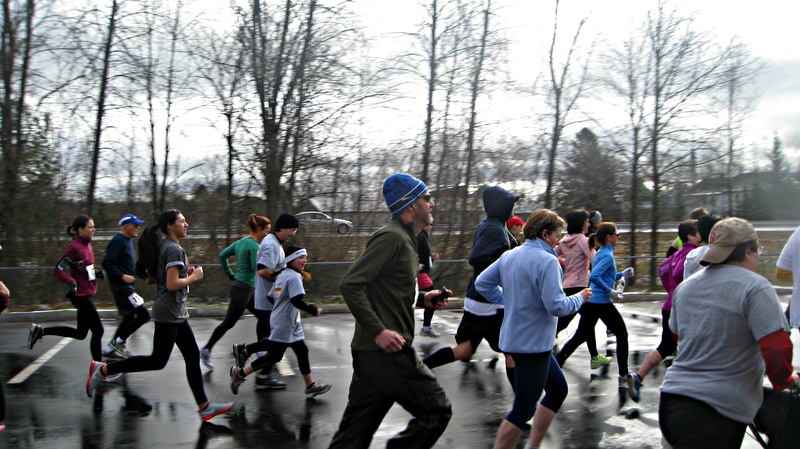 Running season begins in Nashua, and we get some pleasant unexpected press! 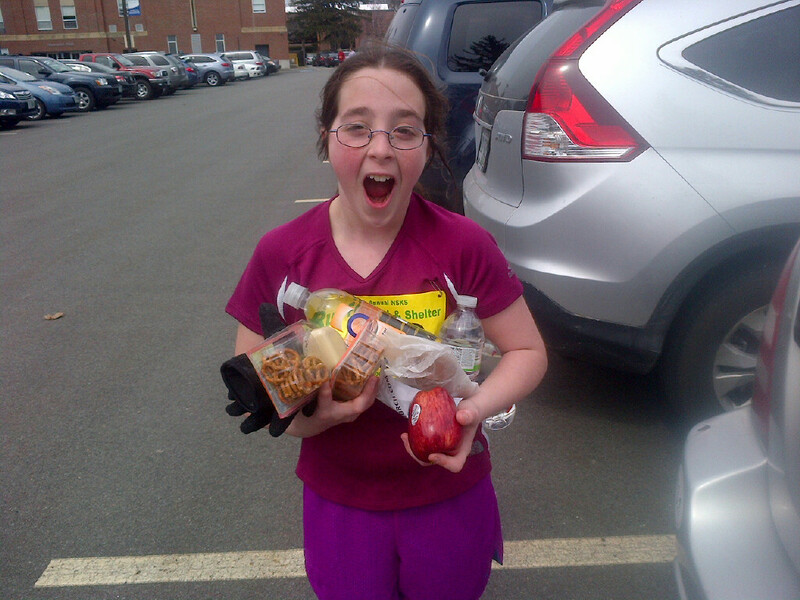 Our favorite part of races; the post-run goodies. Janelle can hardly carry them all! Happy Monday everyone! 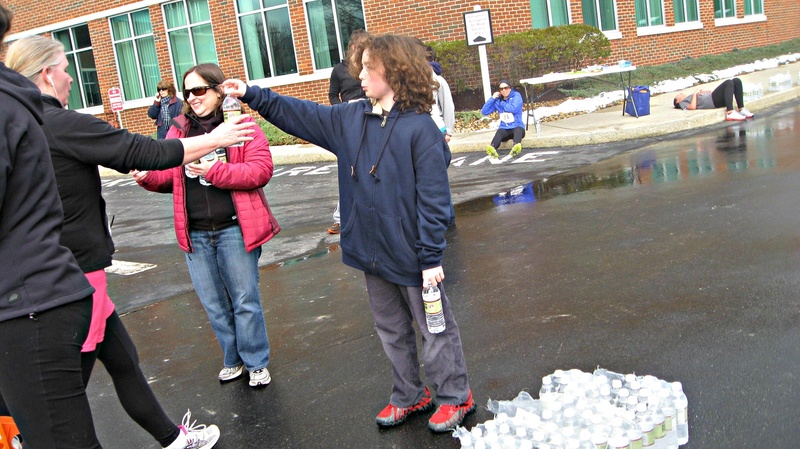 Running reason began for Buffalo and Tough Cookie Sunday in Nashua at the annual Soup Kitchen 5k. We are what’s called Back of the Pack runners. Our motto: Don’t finish last! Usually, we run our own race, but yesterday Janelle was feeling companionable and didn’t want to run alone. 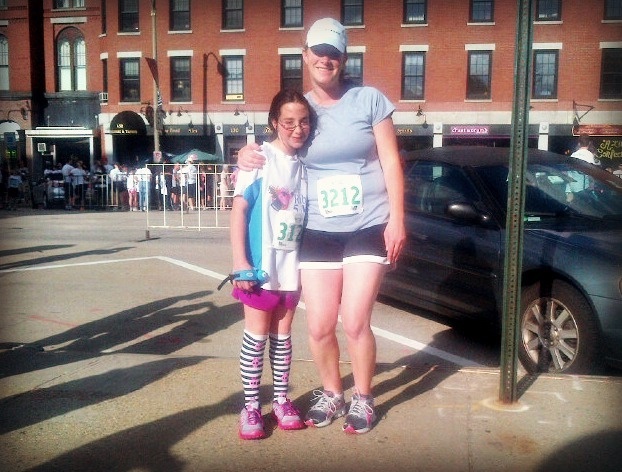 “It’s bad luck to not stick with your running partner on the first race of the season,” she said. So, it looks like my hiking partner will also become my running partner. The course is a fine one, starting with a long slightly downhill straight away then a mile jog through a residential neighborhood, before finishing back near the start. We did fine, though we have lots of work to do to get our numbers up. Janelle demolished the first mile of the course, finishing in just over ten minutes. We finished mile two in 22:30 and were on a smoking pace. But Janelle got some stomach cramps at mile three and we had to crawl back to the finish mile nursing our wounds and both ended finishing in 37:48. That gave us about a 12:10 pace. Buffalo and Tough Cookie, pre-race. The real treat came at the end where we collected armfuls of yummy post-race treats to take with us to see Oz: The Great and Powerful. Way back in October as we finished our hiking list, I promised Janelle I’d take her to see Oz as The Wizard of Oz is her favorite movie. So, we rested our aching muscles in movie seats and passed the day watching witches fight wizards. Pretty nice. Our unexpected press moment came at the hands of Carol Robidoux from the Nashua Patch. Carol caught up to us pre-race and we were even able to pitch the book. Here’s the link to the story. 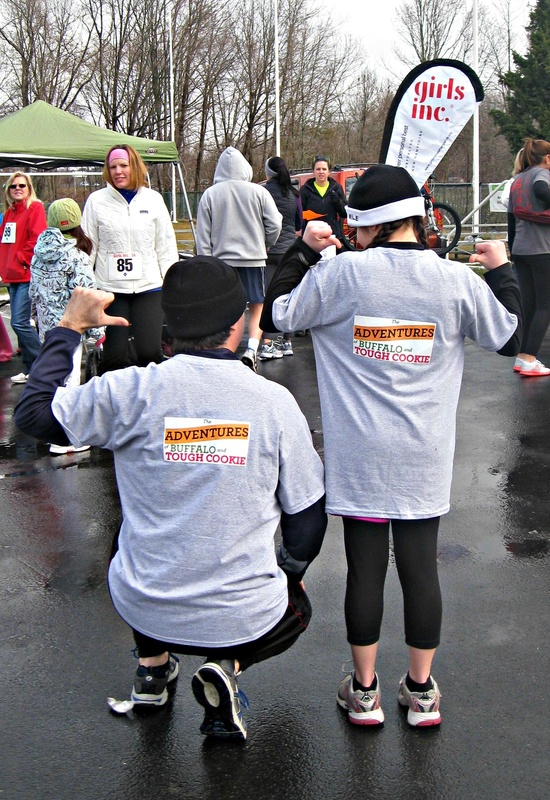 We’ll be back at it again on Saturday as we run the Girl Inc. 5k in Concord.